Don't let anyone tamper with your inspection labels. 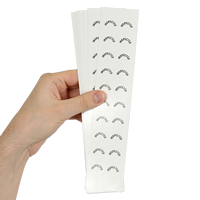 Protect your message and manage your equipment with these destructible labels that show evidence of tampering. 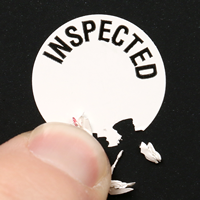 • The defining feature of TheftGuard® labels is that they are "frangible" - materials designed to break apart to show evidence of tampering after it is fully adhered to an object. • Write on this vinyl label material using a pencil, a printer or ball-point pen. • Print is not protected, because these labels are not designed to withstand heavy abrasion. • Labels are screen printed for high-quality printed text. These stickers are perfect for what I need them for!